However, the “Tell Him” singer also said that she believes the allegations against Jackson and feels bad for the alleged victims. “I feel bad for the children,” the 76-year-old said. 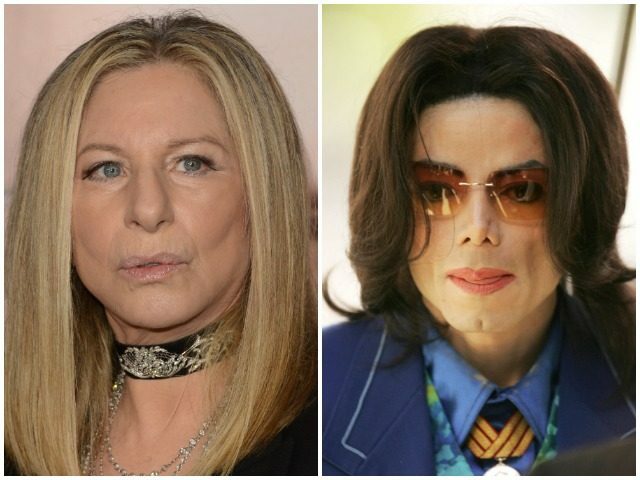 The issue of sexual abuse allegations against Jackson has once again been thrust into the spotlight due to the release of HBO’s documentary Leaving Neverland, which profiles two men who claim that the “Thriller” singer molested them as children. A number of social media users, including some Hollywood stars, lampooned Streisand for her comments. Barbara Streisand's take on survivors of child sexual abuse: "It didn't kill them"
Survivors of sexual abuse have higher rates of suicide, eating disorders, drug addiction, repeat victimization later in life, etc. Barbra Streisand, aside from her takes on sexual abuse, also raises eyebrows with her political views. The star has also raised important issues, like why President Trump doesn’t like dogs. “Donald Trump has never owned a dog. What does it say about someone who doesn’t like dogs? And of course his sons love killing wild animals for kicks. He’s the first president in 130 years who hasn’t had a dog in the White House,” she said last year.